Tape is the first novel by Steven Camden – aka the spoken-word artist Polarbear – For a description of the story please see Goodreads. Tape is released on the 30th January 2014. 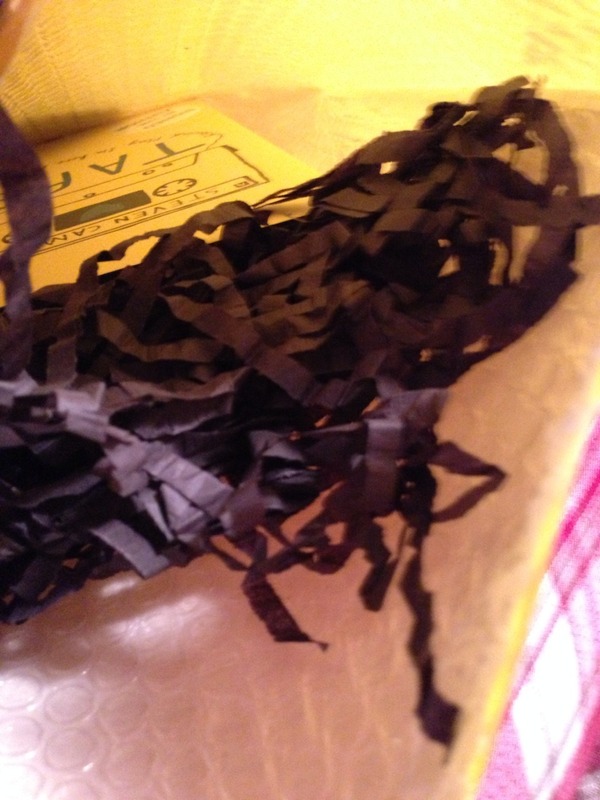 My copy of Tape arrived in fabulously clever packaging with strips of black paper cut up like spooled cassette tape. Tape is one of those books that you need to read completely to appreciate fully. As a story told from the joint perspective of two connected characters their relationship is only fully realised in the final pages. I was surprised to read that someone considered the main connection between Ryan and Ameliah as a twist because I felt this was fairly obvious and for me this provided a good hook to keep reading. Just in case it is meant to be a twist I won’t mention it here though. Different fonts are used to indicate when we are following Ryan and Ameliah, and a third for Ameliah’s tape entries. Dialogue tags aren’t used, instead lines of dialogue start with a dash. Whilst this takes a little getting used to and occasionally it is a bit tricky to work out who is talking on the whole it works fine. I’d be interested to know the reasons behind that decision though. Ameliah, who is living with her maternal grandmother, is coming to terms with the loss of both her parents. For her, listening to the tapes she discovers in the spare room help her to process this. She is outspoken and sometimes immature, but that’s as much her age as anything else. 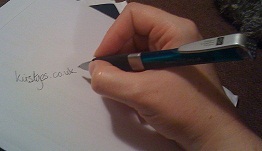 She is also determined to work out connections, especially between her Dad and the mysterious Joe. Ryan lives with his Dad and step-mother and step-brother Nathan. Nathan, a child of divorce is sullen and moody and clearly unhappy with his situation. Ryan, however, having lost his mother, appears to be more sympathetic to the needs of his father. There were some touching scenes as the two stepbrothers learned to live with each other a little better. Later in the book we also find out more about their challenging relationship. 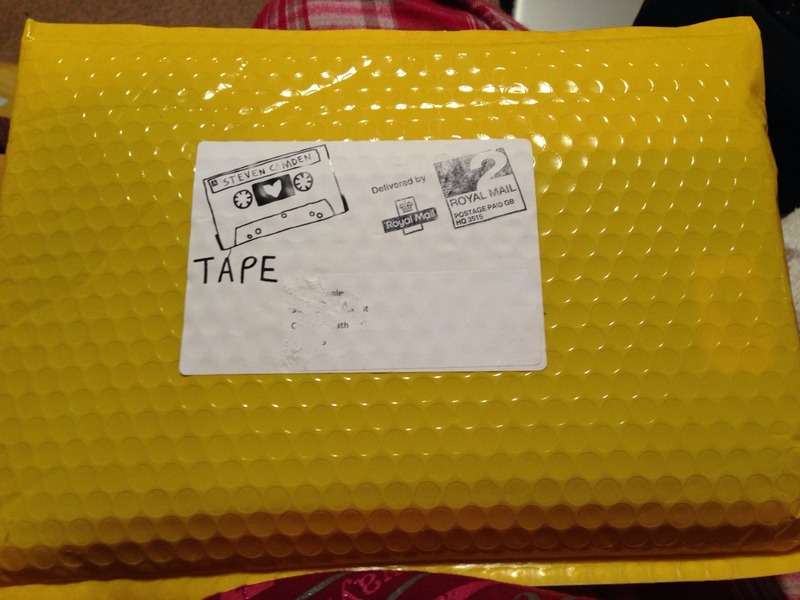 As well as a fondness for making mixtapes, Ryan uses one as a diary, speaking to his mum. I wasn’t so keen on the detailed descriptions of everything and I did feel this slowed the pace at times. However, about halfway through as the connections built the pace did too. I did wonder if the tape could have been used even more to support the story, especially the sections where they’re talking to each other, but then again that might have become too gimmicky. As a child who grew up in the same era as Ryan I loved lots of the pop culture references and it made me remember making tapes with my sister. There are a few references to Back to the Future throughout and one big nod with a taped conversation near the end. The universe has it’s way of bringing the right people together! All in all, a cleverly constructed story with likeable protagonists. I may have even been close to shedding a tear or two. Thanks to Mary Byrne at HarperCollins for my copy. My opinion, as ever, is my own and liable to change like the weather, especially on a re-read that I think this needs. I think there I might pick up lots of little hints along the way. In fact writing this review is already making me appreciate aspects of the book more. Looking forward to the get together with Steven Camden, Holly Smale and Sarah Lean on Wednesday. 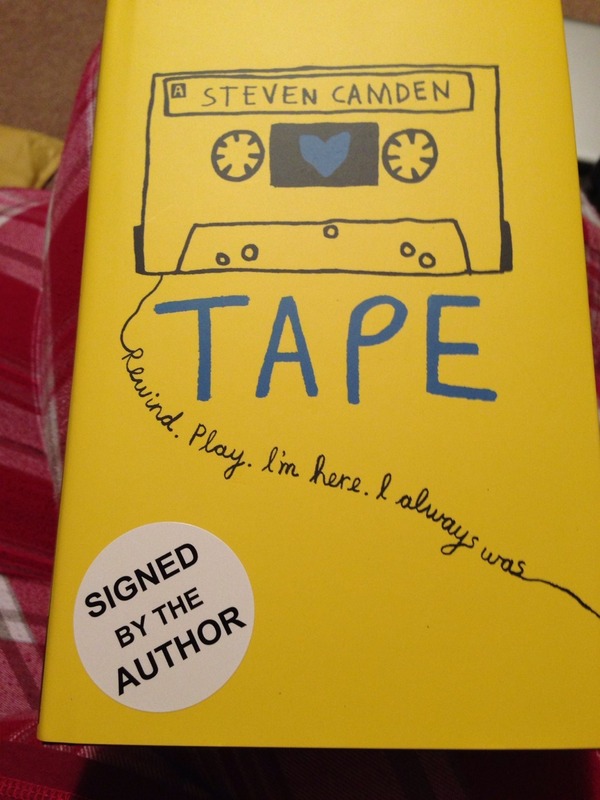 Posted on January 26, 2014, in Book Reviews and tagged Back to the Future, Steven Camden, Tape, YA. Bookmark the permalink. 1 Comment. Sounds awesome. Thanks for sharing. I’m always interested in reviews.